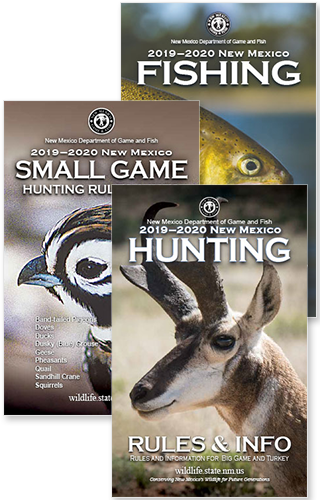 Mandatory harvest deadlines are fast approaching for hunters and trappers who held licenses for New Mexico’s 2013-14 seasons. New mandatory harvest reporting requirements are in effect this year. The deadline to file a free report for hunters who held 2013-14 deer, elk, antelope or turkey licenses is Feb. 15, 2014. After that date, an $8 late fee will apply. Hunters must report on or before the March 19 application deadline or their applications will be rejected from the big-game draws. The deadline to report for those who held 2013-14 Barbary sheep, javelina, oryx, ibex, or trapping licenses is April 7, 2014. The later harvest-reporting deadline allows license holders for those species to submit results after the seasons have closed. Hunters and trappers can file their mandatory harvest report online at https://onlinesales.wildlife.state.nm.us by logging in to their account and clicking “Harvest Reporting” in the main menu. Reports also can be submitted by phone toll-free at (888) 248-6866 from 8 a.m. to 5 p.m. Monday through Friday. Hunters have until Feb. 14 to report by phone, as Feb. 15 is a Saturday and Department offices will be closed.